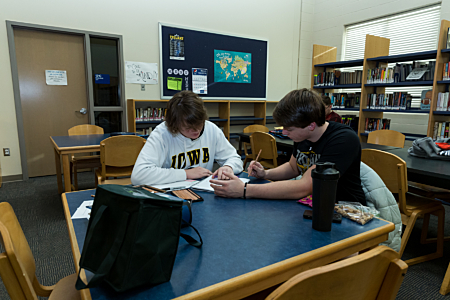 The Student Care Center is to help students get the support they need. Resources are available for the High School, Middle School, and Grade School. Personal hygiene products, shelf-stable meals and snacks for evenings and weekends, winter gear, blankets, and more. You can also request access to showers and laundry facilities. Contact a member of the Student Success Team (SST). Members include: Mr. Brice Stewart, Mrs. Hazlehurst, Ms. Luedke, Mrs. Higginbotham, Mr. Holthaus, Mrs. Callaway, and Ms. Ramsey. The school social workers may also be contacted.